Thanks for being my first nephew! P.S. 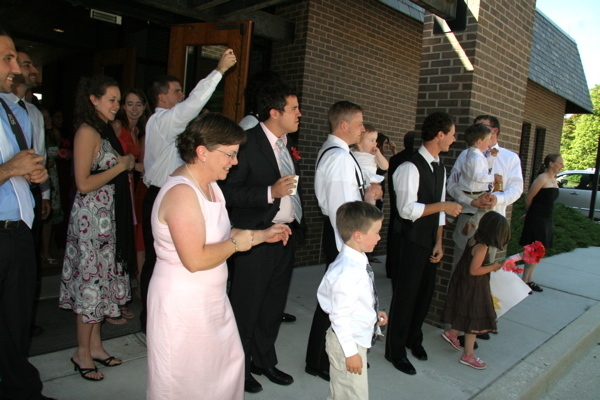 I chose this photo of Noah (the little boy in the front) because one of my favorite memories of leaving our wedding reception is Noah being right there at the door, wanting to connect with us before we left. I think he was probably the last person I touched/hugged before we got into the car and drove away. Thank you for your love for us Noah – we love you very much! And I should probably point out – this picture was taken 2 1/2 years ago and Noah isn’t a little boy any more!